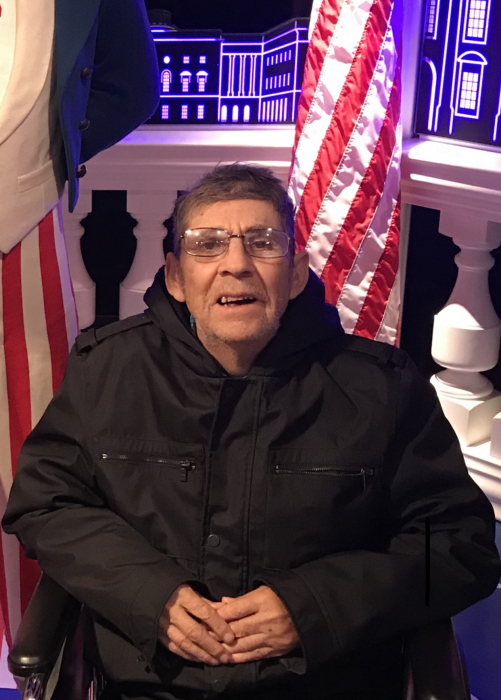 Seferino Medardo Baca, 72, died on March 27, 2019 from complications of diabetes. He died happy and peacefully while vacationing with his grandchildren in Washington D.C.
Seferino was a brave and loyal soldier; a loving and patient brother and father; and a natural comedian who charmed everyone he met. He was born and raised in Ojo Caliente, NM on February 22, 1947 to Pedro and Eloisa. He is survived by his sisters Clarabelle and Clorinda; his brother Guadalupe; his daughter Cynthia; and his three grandchildren Owen, Lexi, and Gigi. He was preceded in death by his wife of 43 years, Linda, and his son Eugene. Widowed in 2011, he spent his last years living with his daughter and grandchildren, most recently in sunny South Florida. In 1967, Seferino volunteered to serve his country and became a recon specialist in the United States Army. He served during the Vietnam War and received numerous recognitions and commendations, including the Silver Star Medal for valor in combat and a Purple Heart when he was wounded in action. He was honorably discharged and went on to make his civilian career as a trim carpenter known for his meticulous craftsmanship. Seferino will be cremated and brought home to New Mexico. A Rosary and Mass will take place Friday, June 7, 2019 at 10:30 a.m. at San Isidro Catholic Church in Santa Fe, NM. A graveside to follow at Santa Fe National Cemetery at 12:30 p.m. where he will be laid to rest with military honors next to his wife, Linda. There's still time to send flowers to the Funeral Mass at the San Isidro Catholic Church (Santa Fe) at 10:30 AM on June 7, 2019.